Those areas of the BIGStart Visa website which you access by using a password or other security device contain proprietary and confidential information on BIGStart Visa and its partners, including engineering documents, manuals, software, program listings, data file printouts, and other technical information. By accessing BIGStart Visa Confidential Information, you agree to keep this information confidential and to use the information solely for the purpose of maintaining and supporting your BIGStart Visa network, or, if you are a BIGStart Visa Partner, your clients‚ and networks. You also agree to be careful with this BIGStart Visa Confidential Information and to only disclose it within your company to employees with a “need to know” who are instructed and agree not to disclose the information and not to use the information for any purpose not permitted by this agreement. You will not alter, decompile, disassemble, reverse engineer, or modify any BIGStart Visa Confidential Information that you receive. BIGStart Visa discourages you from sending us any information that you consider to be confidential or proprietary through this Web site. Please note that if you do send us any such information or material, BIGStart Visa will assume it is not confidential. By sending BIGStart Visa information or material, you grant BIGStart Visa an unrestricted, irrevocable license to use, reproduce, display, perform, modify, transmit and distribute those materials or information, and you also agree that BIGStart Visa is free to use any ideas, concepts, know-how or techniques that you send us for any purpose. The information on this Web Site, along with any Materials (including, for example, white papers, press releases, data sheets and FAQs) is the copyrighted work of BIGStart Visa and/or its partners and is protected under Philippine and worldwide copyright laws and treaty provisions. BIGStart Visa grants you permission to copy such Materials so long as each copy (i) is solely for informational, non-commercial use in support of BIGStart Visa services and is not modified or revised in any manner, (ii) plainly displays all copyright and other proprietary notices, in the same form and manner as on the original and (iii) displays a statement that the Materials are used solely with permission of BIGStart Visa. Any software which you download from the BIGStart Visa website is governed exclusively by the license terms accompanying the file or the terms of the license agreement which accompanied the original product licensed by you which you are updating, and by downloading such software, you agree to abide by the terms of the license. Any reproduction or redistribution of such software not in accordance with the software license is expressly prohibited by law. BIGStart Visa trademarks may be used publicly only with permission from BIGStart Visa and proper acknowledgement. All other trademarks, brands, and names are the property of their respective owners. Except as expressly granted in this section (or to you specifically in writing), BIGStart Visa and its partners do not grant any express or implied right to you under any patents, copyrights, trademarks, or trade secret information. THE MATERIALS ACCESSIBLE FROM OR ON THIS WEB SITE ARE PROVIDED “AS IS” AND BIGSTART VISA EXPRESSLY DISCLAIMS ANY IMPLIED OR EXPRESS WARRANTIES OR CONDITIONS OF ANY KIND, INCLUDING WARRANTIES OF MERCHANTABILITY, FITNESS FOR A PARTICULAR PURPOSE, OR NON-INFRINGEMENT OF INTELLECTUAL PROPERTY RELATING TO SUCH MATERIAL. IN NO EVENT SHALL BIGSTART VISA BE LIABLE FOR ANY DAMAGES WHATSOEVER, INCLUDING (WITHOUT LIMITATION) SPECIAL, INDIRECT, CONSEQUENTIAL OR INCIDENTAL DAMAGES, INCLUDING, WITHOUT LIMITATION, DAMAGES RESULTING FROM USE OF OR RELIANCE ON THE INFORMATION PRESENTED, LOSS OF PROFITS OR REVENUES OR COSTS OF REPLACEMENT GOODS. Although BIGStart Visa has attempted to provide accurate information on this Web site as a service to its users, BIGStart Visa assumes no responsibility for, and makes no representations with respect to, the accuracy of the information. BIGStart Visa may change the programs or products mentioned at any time without notice. Mention of non-BIGStart Visa products or services is for information purposes only and constitutes neither an endorsement nor a recommendation. This site may contain indications of BIGStart Visa’s current plans. BIGStart Visa does not guarantee that any feature or product mentioned in this site will be produced, or produced in the form described. 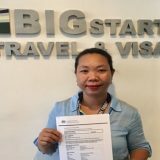 BIGStart Visa reserves the right to modify its roadmaps without notice. Any claims relating to the materials or the Web site will be governed by Philippine law. All materials and software downloaded from this Web site are provided with “RESTRICTED RIGHTS”. Use, duplication, or disclosure by the Philippine Government is subject to the restrictions. Use of the materials by the government constitutes acknowledgement of BIGStart Visa’s proprietary rights in such materials. BIGStart Visa may, but is not obligated to, monitor or review statements made by third parties on BIGStart Visa’s website. Users or other third parties may post statements or information on some portions of the BIGStart Visa website from time to time. BIGStart Visa makes no representation as to the accuracy, appropriateness, legality, ownership or other aspects of such statements or information. BIGStart Visa expressly disclaims any liability for such third party statements under criminal or civil laws relating to defamation, intellectual property infringement, Privacy, obscenity, or other areas of law. Also, at times this site may contain links to Web sites maintained by other organizations, individuals or agencies which are provided as a convenience to BIGStart Visa users. These linked sites are not under the control of BIGStart Visa, and BIGStart Visa is not responsible for the accuracy of information on such sites. BIGStart Visa does not monitor or review the content of such third party sites and therefore advises you that your access by link to third-party sites is at your own risk. 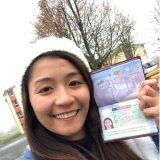 This Web site originates from and is maintained in the Philippines, and BIGStart Visa makes no representations regarding the legality of access to or use of the site or the materials from other countries. Any export or use of the materials by a user must be in compliance with all Philippine export laws and regulations in effect at the time of such export or use, and use is limited as described above in Section 4 of these Terms and Conditions. Access in countries where the materials are illegal is prohibited. Users who access the Web Site from outside of the Philippines do so at their own risk and are responsible for compliance with applicable Philippine export and local country laws. 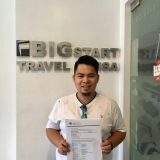 BIGStart Visa may revise these Terms and Conditions at any time. Revisions will be posted on this “Legal Information” page and users are responsible for reviewing the page from time to time to ensure compliance. If BIGStart Visa makes a request to you to stop using the information provided on this Web site, you will comply immediately with this request and will confirm in writing to BIGStart Visa within fifteen (15) days that you have done so.